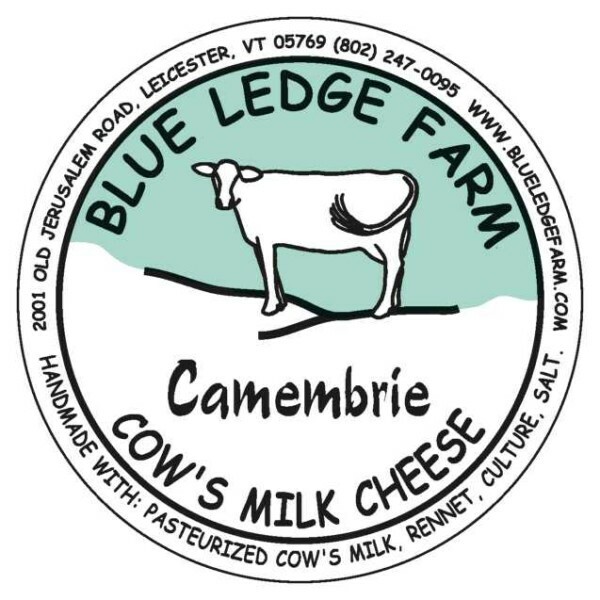 At Blue Ledge Farm we believe in a food system that is based on a cornerstone of respect for the land, the animals and the consumer as well as our local community. We celebrate the opportunity to raise healthy, contented animals and make great cheese! 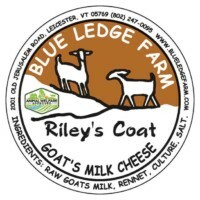 We began milking four goats at Blue Ledge Farm in 2000, and began processing cheese two years later. 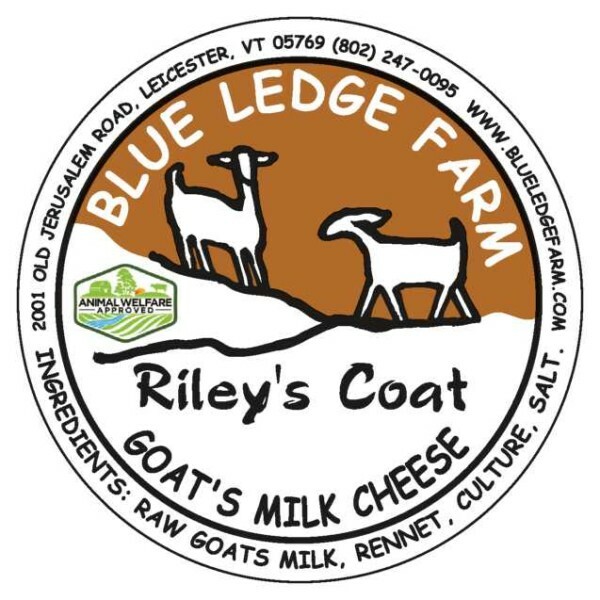 Today we milk 125 goats and produce eleven types of cheese, from very fresh to semi-aged bloomy rind cheeses, to harder cheeses aged three months and longer. True to our mission, our focus is always on sustaining a high-quality, consistent product with lots of attention and gentle handling. 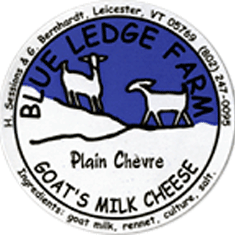 The 150 acres of Blue Ledge Farm consist of woods, hayland, pasture and wetland and is conserved by the Vermont Land Trust. In 2016 we were certified as an Animal Welfare Approved farm. As such, we are inspected annually to ensure that our animals have adequate space, comfort and access outside. 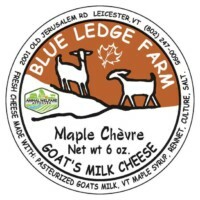 Our goats spend their spring, summer and fall days browsing in the woods, return to the barn for 4 pm milking and lounge around in a grass pasture as evening sets. Our goats live a life of luxury and as we run from job to job across the farm we sometimes wonder who works for who! When Greg and Hannah aren’t milking goats or making cheese they can be found in their painting studio or with their nose in a book of poetry. 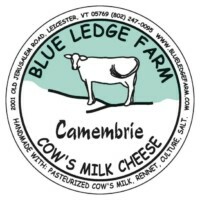 Check out their oil paintings at Blue Ledge Gallery, and some of their poetry on the blog at www.blueledgefarm.com. 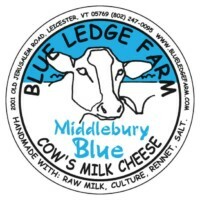 Blue Ledge Farm welcomes visitors Friday mornings from 8-12.